If success were the result of talent and the experience of overcoming previous failures, it’d be difficult to bet against the state title hopes of Eastern High School’s girls soccer team. The talent is obvious. 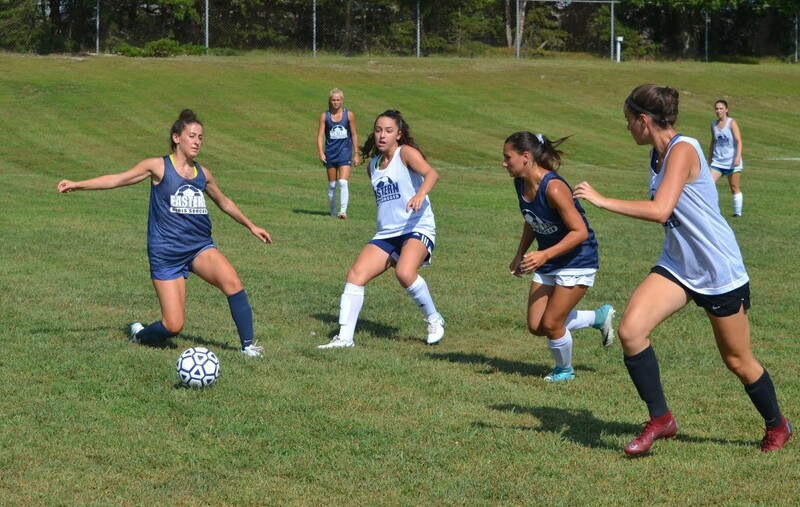 They have three top-level players who could be the best defender, midfielder and forward in South Jersey when the season concludes as the team’s foundation. Juniors Sara Brocious and Kelli McGroarty and sophomore Riley Tiernan are better than good. And that’s just the start of a team that’s skill level is only matched by its depth. But then there’s the history. Despite winning the South Jersey Soccer Coaches Association Tournament in two of the last three years, and despite a regular season last year when they didn’t lose a game while posting 14 shutouts, and despite establishing themselves as a premier program in not only South Jersey, but the state as well, the Vikings are lacking an important part of a perennial winner’s resume. Kelli McGroarty, the star midfielder and coach’s daughter, doesn’t need a reminder. She sees it every day. The last time Eastern’s girls soccer team won a state title (they won back-to-back crowns in 2006 and 2007) she was on the field. She’s also in the team photo that hangs in the Voorhees school. And that’s the scary thing if you’re in the Olympic Conference or in the Group 4 playoffs in 2018: Eastern is not only talented and hungry, but also fairly young. The Vikings don’t expect more than a few seniors to contribute regularly in 2018, meaning the majority of the roster you will see this fall will be back in 2019, too. But let’s try not to think too far ahead. You can’t begin to count championships (whether they’re Coaches Tournament championships or South Jersey championships or state championships) until you get one. Eastern has had success in the Coaches Tournament and in the conference — although it will have a formidable foes in Washington Township and Shawnee this fall — but has stumbled come playoff time. The younger McGroarty called it a “shock” to lose in the state quarterfinal round, especially after running off an undefeated regular season after losses in the South Jersey Final in each of the previous two years. “We normally seem to choke in the playoffs,” Kelli McGroarty said, bluntly. So how do you flip that script and put yourself into a new state championship picture you can frame at Eastern High School? In addition to having the skill (Jamie McGroarty said this is his most skilled team in 16 years at Eastern) and the motivation (see the recent postseason brackets), the Vikings have self-awareness, which is important as they try to not only match last year’s regular season success but also overcome their postseason failures with a bullseye on their back throughout the next two months, to boot.